Yes, it is that time of the year when Apple launches new iPhone models and fanboys like me start to get all drooly and excited. Having been an iPhone user most of my adult life, there is no other phone I will use simply because it has become a way of life, even if other brands out there come with better specs, larger screens and cameras that can literally shoot high-resolution pics of the bed bugs on your bed. You know what I mean. So what can you can expect from the new line-up? Three different models to be exact, namely the XR, the XS and the XS MAX. 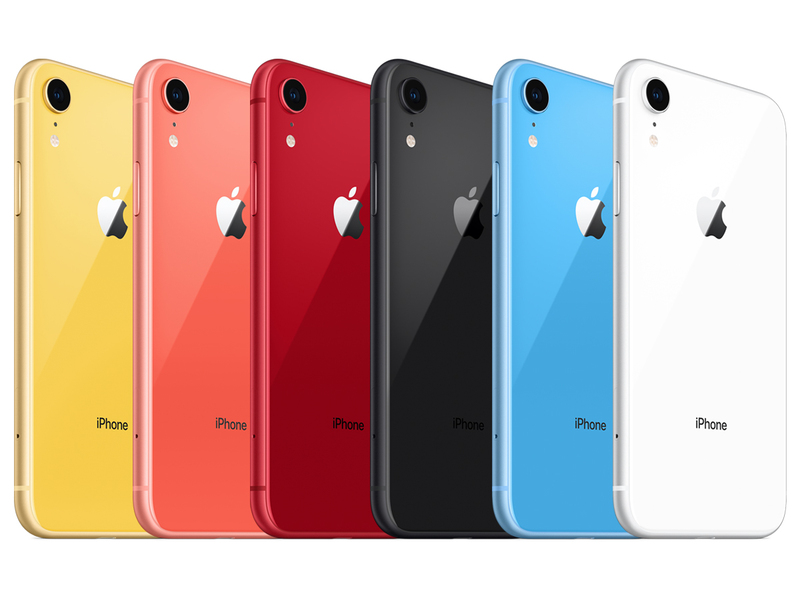 First up, the iPhoneXR which comes in 6 colours that include Black, Blue, Coral, White, Yellow and (PRODUCT)RED. Measuring 150.9 mm by 75.7 mm with a weight of 194 grams, the iPhoneXR sports a 6.1 inch (when measured diagonally) Liquid Retina HD display and is available in 3 sizes – 64GB, 128GB and 256GB. It’s worth noting that the iPhoneXR is priced from SGD1229 for 64GB, SGD1299 for 128GB and SGD1469 for 256GB, which is a good thing for those of you who aren’t willing to cross the SGD1500 mark for a mobile phone. The downside? It can only be pre-ordered from 19 October 2018, so you’ve got to wait a tad bit longer for this version. Next up, the iPhoneXS, that’s a notch up from the revolutionary iPhoneX that broke all boundaries when it was launched last year. Boasting a Super Retina HD display, the iPhoneXS comes in two models, XS and XSMax that’s essentially all about the big and bigger. Both models are equipped with custom OLED display, ensuring the most accurate colour ever in the industry, and comes with HDR and True Tone technology. Size wise, the iPhoneXS is relatively similar to the iPhoneX, measuring 143.6 mm by 70.9 mm and weighing 177 grams, with a 5.8 inch (when measured diagonally) display. In comparison, the XS Max is similar in terms of phone size (it measures 157.5 mm by 77.4 mm) with the iPhone8Plus, but boasting a much bigger display of 6.5 inches (when measured diagonally). That essentially makes the iPhoneXSMax the biggest display ever on an iPhone, which is great for those of you who are all about ‘bigger is better’. 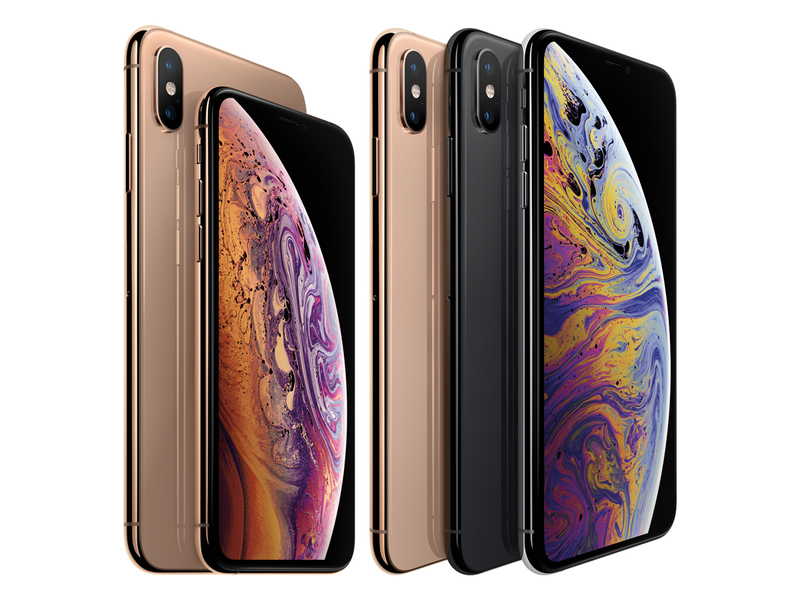 Another point worth noting is that the XS and XSMax comes in the most durable glass ever on a smartphone, with an all-new gold finish that’s achieved using an advanced physical vapour deposition process on the surgical-grade stainless steel band. Aside from Gold, they also come in Silver and Space Grey in 3 sizes – 64GB, 256GB and 512GB. Pre-orders for both start on 14 September 2018, and here’s what you have to know price-wise. The iPhoneXS starts from SGD1649 for 64GB, SGD1889 for 256GB, and SGD2199 for 512GB, while the iPhoneXSMax is priced from SGD1799 for 64GB, SGD2039 for 256GB and SGD2349 for 512GB. Aside from the noticeable differences in screen sizes when measured diagonally between the iPhoneXR (6.1 inch Liquid Retina HD display), iPhoneXS (5.8 inch Super Retina HD display) and the iPhoneXS Max (6.5 inch Super Retina HD display), the back cameras are slightly different as well. With the iPhoneXS and iPhoneXSMax, you will find dual 12-megapixel wide angle and telephoto cameras, while the iPhoneXR will only come with a single 12-megapixel camera. Other than that, all 3 phone models are pretty much the same, featuring a 7-megapixel TrueDepth front camera for all your selfies, Advanced Face ID, an A12 Bionic chip with next-generation Neural Engine, and offer wireless charging (charger sold separately). So, which will it be for you? The iPhoneXR, iPhoneXS, or iPhoneXSMax? Can I please have the iPhone XR! I LOVE IT I WANT THE BLUE OR YELLOW ONE! Of course you can! Just head to any Apple store and make your purchase, ok?